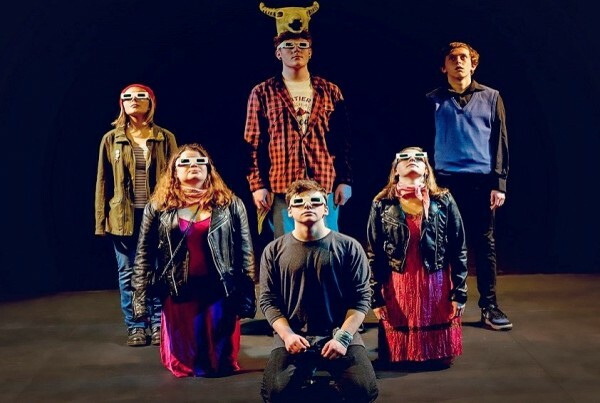 The Young People's Theatre is a youth theatre for 11 - 17 year olds based at the People's Theatre in Heaton, Newcastle upon Tyne. We run regular term-time drama workshops every Thursday evening 6pm – 8pm to improvise, rehearse, play theatre games and discover more about all aspects of theatre. We stage 3 - 4 productions each year, giving all our members the opportunity to participate both on and off stage. We pride ourselves on a rich and varied programme. It's our belief that young people have the potential to bring great theatre to the stage – from Shakespeare to Terry Pratchett! We believe youth theatre can develop confidence as well as theatrical skills, and is a great way to meet new people from across our region. Annual membership is £30. A reduced fee of £18 is available to young people from low income families. Our places are limited so there is often a waiting list. Currently young people wait between 6 – 18 months for a place. We have one or two new members sessions each year, in April and September and we contact people to come to open days via email. You can apply to join at any time after your tenth birthday (but you must be 11 years old before you can take part).